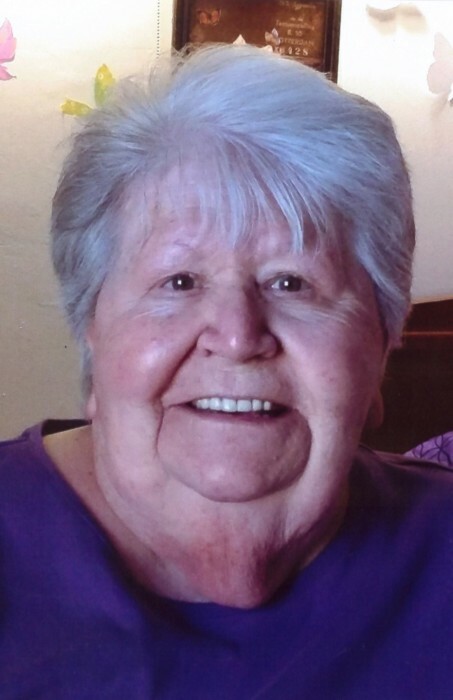 Funeral Services for Cleo Spence Wiant, age 75, will be 4:00 PM, Sunday, September 2, 2018 at Spear Mulqueeny Funeral Home, 667 Mentor Avenue, Painesville, Ohio. Family and friends will be received from 2:00-4:00 PM, prior to the service. Mrs. Wiant was born July 26, 1943 in Belo, West Virginia. She passed away peacefully into eternal rest on Monday, August 27, 2018 at Heartland of Mentor. Cleo was a laborer at 3M for 15 years and retired in 2002. Cleo loved her church family at Church of Christ in Painesville, where she was a member. She loved spending time with her brothers and sister, cooking, and laughing. Her greatest joy was her children, grandchildren and great-grandchildren. She is survived by her children, Lorri (Tommy) Nash of Painesville, Chris (Jeff) Willhoite of Geneva, and Tom (Rachel) Wiant Jr. of Willoughby; grandchildren, Jeremy (Patricia) Nash, Kenneth (Mandy) Willhoite, Kristen (Chad) Evenson, Audra and Tommy III and Nesta; great-grandchildren, McKenzie, Jeremy Frank, Autumn, Daniella, Carter, Nigell and Neiman; along with many loving nieces, nephews and friends. Cleo was preceded in death by her parents, Okey Ray and Audra Spence; nine loving brothers and one loving sister.